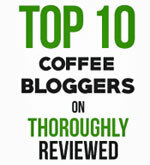 My posts and opinions on gourmet coffee and the coffee business. I created this site to share information about making and enjoying gourmet coffee. Most of what I write is informational – I just try to spread some knowledge about coffee, coffee makers, coffee grinders and so on. These posts are a little different. These are my personal take on things. 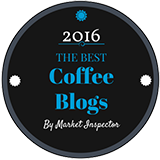 I look at some aspect of coffee making, or trends in the coffee business, and share my views. If you have any ideas for topics you want me to write about, by all means send me your suggestions through the contact page. Coffee tastes better when paired with an unexpected experience. Does coffee really taste better when you drink it in a fancy coffee shop? How about coffee on the beach? The death of budget coffee brands, like Maxwell House, Folgers and Yuban. Millions of coffee lovers reach for budget coffee brands in the hope of a decent morning coffee. Sadly, those days are gone. One good coffee please, without the dress-up and drama. Fancy coffee shops give the impression that making good coffee is a difficult and mystical art. It’s not. Pay for your cup of coffee with a handwritten poem. 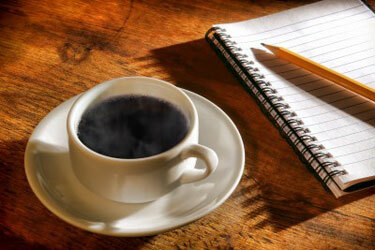 Over 1,280 coffee shops celebrated World Poetry Day by handing out coffee in exchange for a poem. 5 Things you’d be surprised to find in your coffee. Here are 5 things you would never expect to find in your coffee. 4 of them have a reason for being there. The fifth doesn’t. When coffee lovers don’t make coffee at home. There’s an assumption that loving gourmet coffee means you should make it yourself, at home. This just isn’t true. 5 Surprising uses for old coffee grounds. Instead of reaching for the trash can after brewing, consider these unexpected uses for used coffee grounds. Coffee and music go together. Don’t they? Countries that grow coffee also have rich musical cultures. So why don’t we listen to their music while we enjoy their coffee? 5 Crimes against coffee that will ruin your brew. There are a lot of ways you can mess up a good cup of coffee. But some ways are downright criminal. Are Maxwell House and Folgers coffees making people sick? A lot of people have been reporting that Maxwell House coffee is making them sick. Some say the same about Folgers. So what’s going on? I tried bulletproof coffee. Once. Bulletproof coffee is all the rage. If you love good coffee, you'll probably hate it. 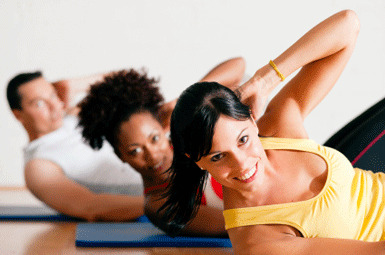 But you might be among the many swayed by the health benefits it claims to offer. More and more people are complaining about the awful plastic taste in the coffee they make with new brewers. Is it just about the bad taste, or is it about toxic chemicals too? My first glass of nitro coffee. Nitro coffee is a cold-brew coffee, served chilled and infused with nitrogen. The nitrogen gives it that velvety head. The best coffee apps for lovers of the bean. The best coffee apps help coffee lovers DO something, whether that’s to find a new coffee shop, pay for their coffee or learn to better appreciate different coffees. If your coffee tastes bad, buy better coffee. Big brand coffee companies are shaving costs by using lower-quality coffee beans. Their coffee just tastes bad. It’s time to try something better. Are you ready for your first WiFi-enabled coffee maker? 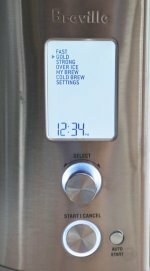 This year, 2015, sees the introduction of the first WiFi-enabled coffee makers, allowing you to start and control your brewer with a few swipes on your smartphone. Is this a big deal? Yes, I think it is. Coffee cocktails are a welcome fusion of coffee and alcohol. Most of us have tried hot coffee drinks with alcohol. Drinks like Bailey's Cream coffee. But there is a new trend in mixing coffee with liqueurs in the form of coffee cocktails. Why Jamaica’s Blue Mountain Coffee is so good, and why it costs more. What I learned about Jamaica Blue Mountain Coffee during my trip to Jamaica. In this article I look at the problems associated with using high-tech coffee drink machines…and why they break down a lot more often than a regular coffee maker. Confessions of a two-face coffee drinker. Just because you love gourmet coffee, doesn’t mean you can’t enjoy a regular cup of joe from time to time. Just as a wine lover can enjoy a house wine sometimes, a coffee lover can get a kick out of a regular cup of coffee. My wonderful Kickstarter coffee maker addiction. Most coffee makers made by large corporations are made from cheap plastic, and the coffee they make tastes of cheap plastic. You’d be better off looking for a new coffee maker on Kickstarter. When big coffee companies lose sight of quality and focus on profits, move on. Most coffee companies start out with a genuine passion for great coffee, but once they go public, they switch to a passion for profits. Have you lost faith in any coffee companies you once loved? Single cup coffee makers - Poised for growth or collapse? Single cup coffee makers are proving to be immensely popular among coffee lovers. But will the love affair continue? If you are looking for a miracle health cure, you’ll find it in your cup of coffee. Few of us look at coffee as being an all-natural miracle health cure. But it is. Coffee protects us from some life’s most dangerous diseases. My take on the CoffeeCON 2013 event for coffee consumers. CoffeeCON is a coffee event for consumers, not professionals. The 2013 event was excellent, with an incredible lineup of speakers and classes.